How will we trust in the future? How will changes in our world impact our inclination to trust? The Trust/2030 project imagines what society might look like in the near future. 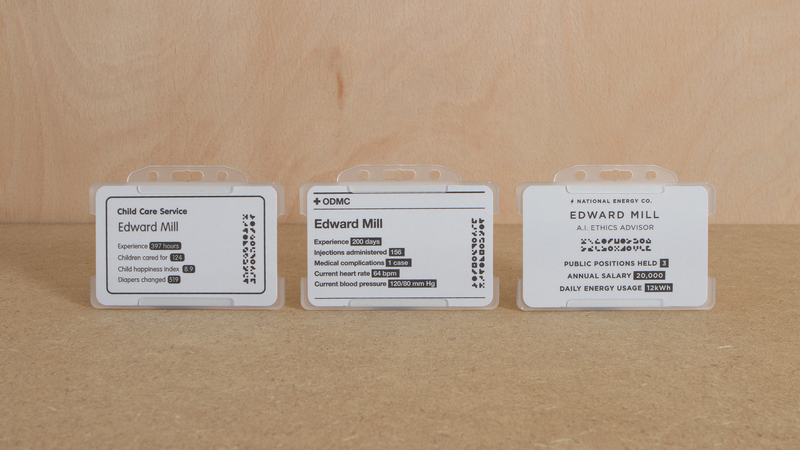 It provides a glimpse into three alternative scenarios of trust within society, through the objects that citizens carry with them every day. Does increased transparency lead to a higher level of trust in society? A major data leak exposing a gross Human Rights violation by a public official forces government to create a transparent, data-driven society. Information we used to think of as private is now shared openly by organisations and individuals alike. All areas of our lives are fully transparent: we can access health records online, research what is in our food and find out how much our colleagues earn. Citizens put trust in big institutions because they believe the full transparency movement keeps them accountable and makes products and services more predictable. In 2030 most people have a variety of jobs, often in different industries. Standard measures of expertise no longer offer any valuable reference point. To verify a person’s identity and to assure customers of their professional competence, digital ID cards provide contextual information about every worker. A quick look at the card offers a multitude of information about their previous performances and current state of mind. This level of transparency makes it possible to trust a complete stranger. Different jobs require different tools. 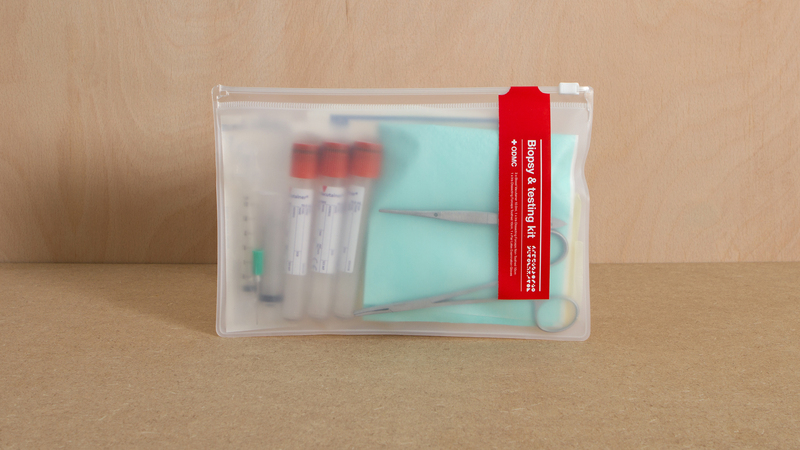 The “On Demand Medical Kit” is a hygienically sealed kit designed to be used to administer small medical procedures. 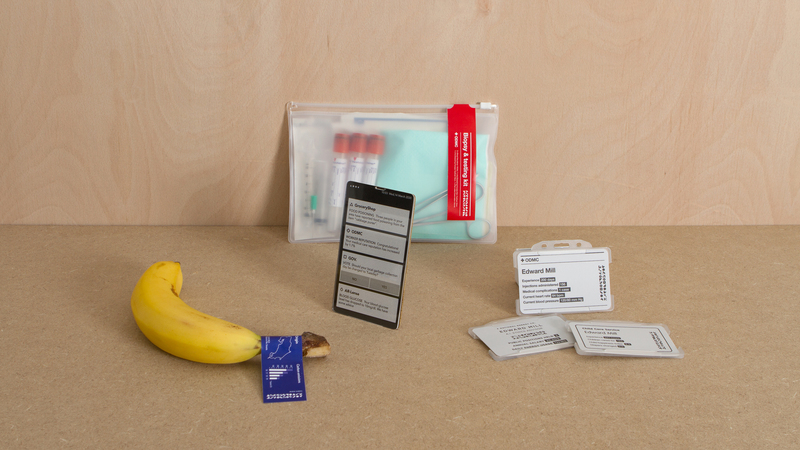 Healthcare companies can provide this kit to their unskilled contractors to simplify complex medical treatments. Professional tools and supplies not only raise the quality of the care provided, but they also reassure the patient they are in good hands. In this data-driven society, citizens receive various notifications from companies, institutions and services. Fluctuations in online reputations are as much part of the information package provided by high-tech connected devices as live healthcare updates. Grocery stores can increase customer loyalty by being transparent when something goes wrong with their products. Government can further gain trust by encouraging its citizens to vote on a range of local issues with their digital devices. Consumers want to know exactly what they put into their bodies and how their choices impact their own wellbeing and the environment. 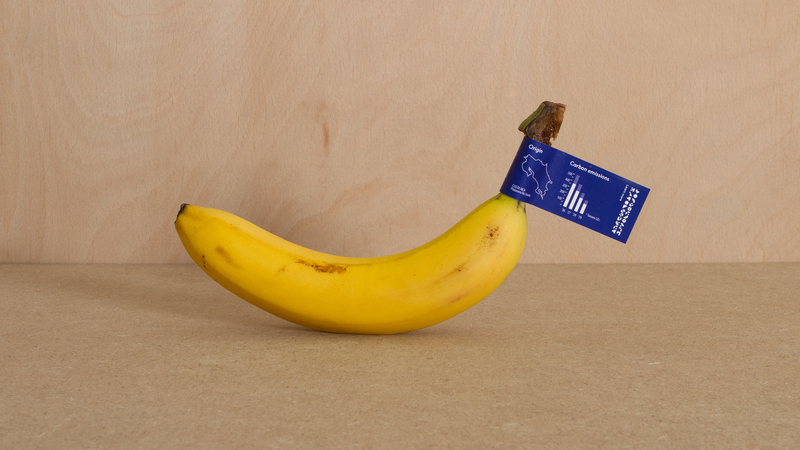 This banana label provides detailed information about the banana’s provenance, its ingredients (down to a chemical level), its ecological impact and carbon footprint. Via a smart code on the side of the label, consumers can access an additional layer of information with their digital device. Transparent information about the products citizens buy and consume, helps them feel empowered and builds trust with manufacturers. Would you put all of your trust in one company in exchange for the convenience of fully personalised products and services? A series of government data leaks shatters the trust citizens had once put into their elected leaders. Big businesses see an opportunity to provide people with the sense of security they crave. Citizens decide to choose one corporation to take care of all their daily needs, from food to entertainment. 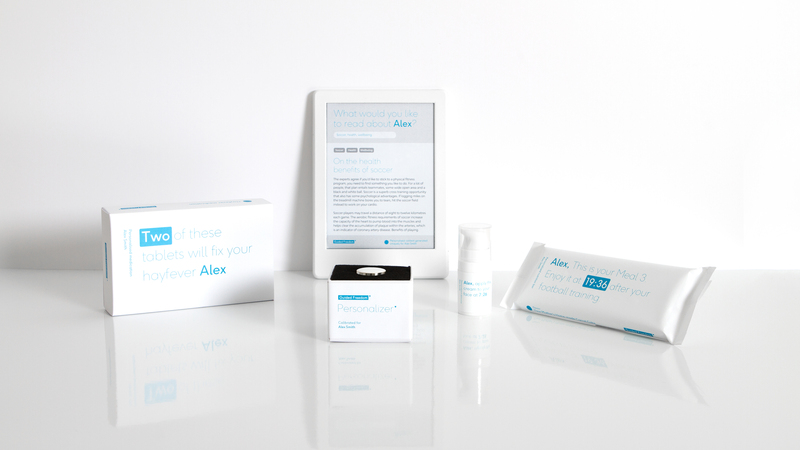 In exchange for their personal data, consumers get to benefit from fully personalised products. Prices fall and services become more streamlined, making life for the average person more efficient. In this society, brand loyalty and trust is at an all-time high. Citizens feel overwhelmed by the sheer amount of data available to them and are happy for their chosen brand to manage their lives instead. In turn, The Corporation gains unconditional access to their personal data which they promise to keep secure. 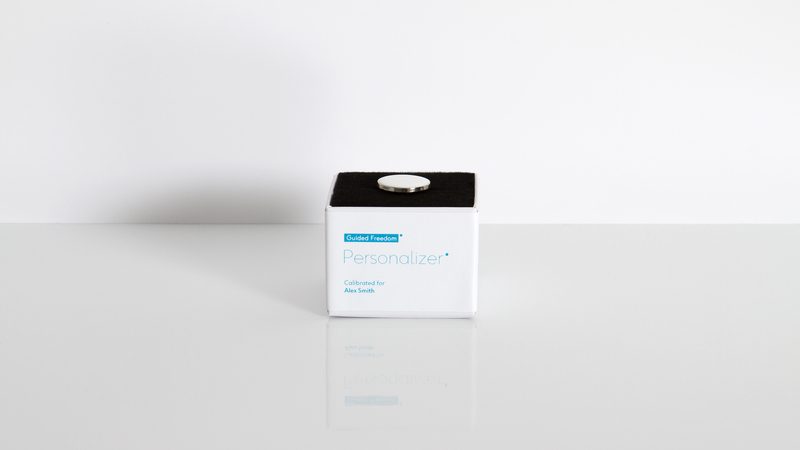 The Personalizer, a small, wearable device, collects data about its owner so that The Corporation can provide the most personalised service imaginable. Citizens take on a passive role, focusing on enjoying their lives rather than worrying about the boring details. People lack the knowledge or the desire to understand their own body’s nutritional needs. They prefer The Corporation to take care of their meals. 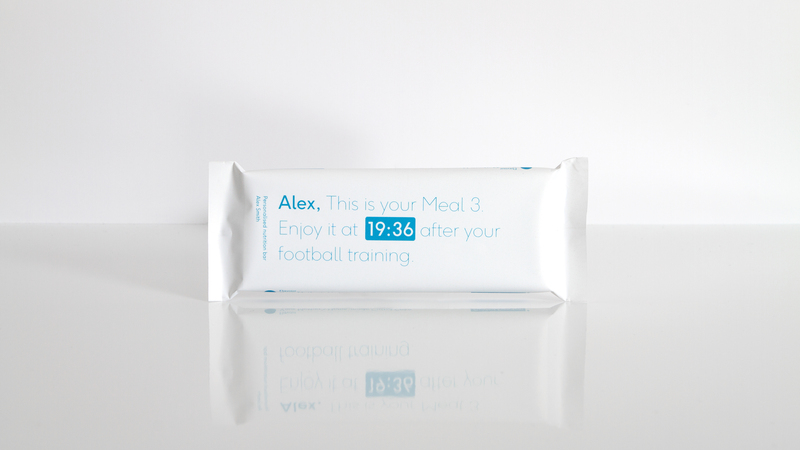 Personally tailored meal replacement bars provide the consumer with all the nutrients they need and are adapted to their personal flavour preferences as well as their schedules. They receive a product that’s not only perfect for them but one they actually love. People feel cared for and trust The Corporation. Patients don’t have time to research which medication is best for them. Instead, they put complete trust into The Corporation to provide them with a tailored treatment that is delivered precisely at the right time. Instructions and ingredients are no longer deemed necessary. 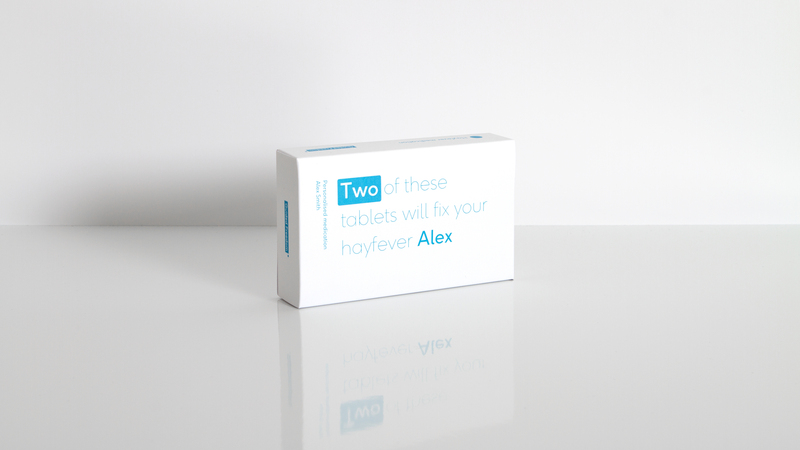 The Corporation uses the data they collect from patients to optimise medication, which leads to overall improved health in the society. There is so much content available that citizens don’t know which source to trust. 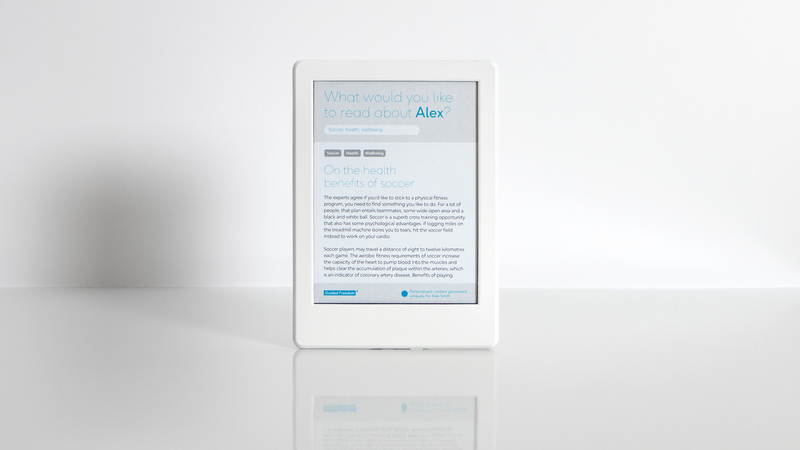 Instead of wasting time on articles they won’t enjoy, The Corporation provides them with AI generated, tailored reading material. Citizens can input keywords and topics they are interested in and receive pieces generated just for them. No two users will read the same articles. 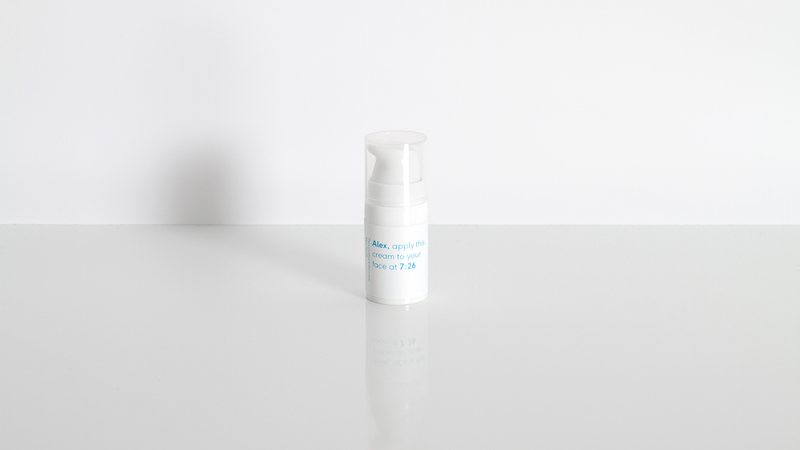 The number of products on the market is vast, and it becomes increasingly difficult to account for changing environmental and health factors when choosing skincare. The Corporation provides unique and tailored products based on the user’s genetic make up and personal lifestyle. 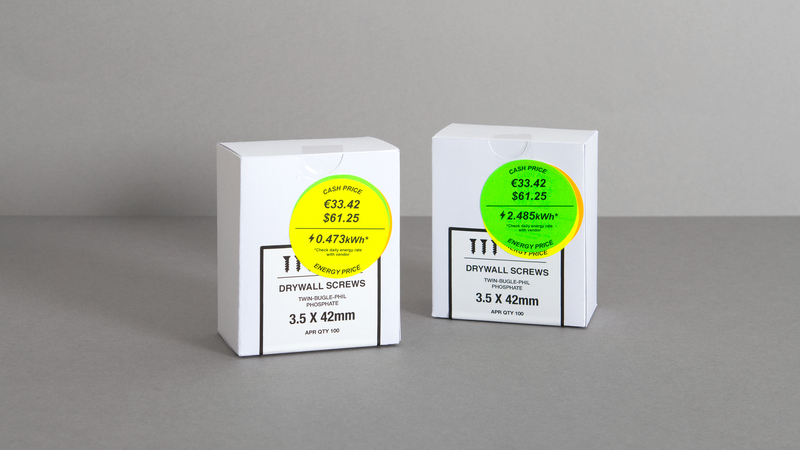 The resulting high efficiency of the product delivers tangible results that cultivate trust in The Corporation. Would you give up modern-day conveniences and take responsibility for all aspects of your life to guarantee your personal security? Once a series of data leaks exposes the shaky foundation on which the current government had been built, citizens quickly lose faith in all public institutions, including banks. A major financial crisis follows and forces people to reorganise society completely. Small communities begin to form who provide their own currency and power, allowing them to exist completely independently. By reverting to physical security systems, data hacks are no longer an issue. Self reliance trumps trust in this society. In a world where people no longer trust large pharmaceutical companies, DIY culture and community-based medicine production has become the norm. 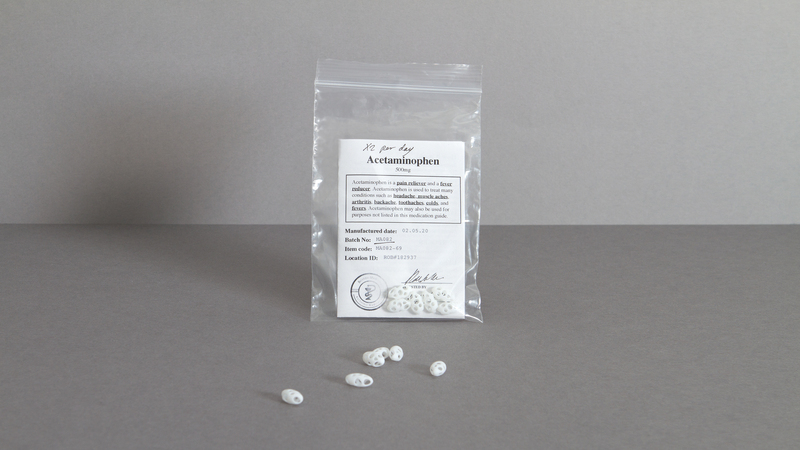 3D printed pills are community made by independent pharmacists, the predominant producers of medicine in this society. Citizens now have a personal relationship with the person responsible for their wellbeing, making it easier to establish trust. Citizens minimise their use of digital services to stave off information theft. With centralised networks compromised, citizens can only trust their own improvised, local networks. 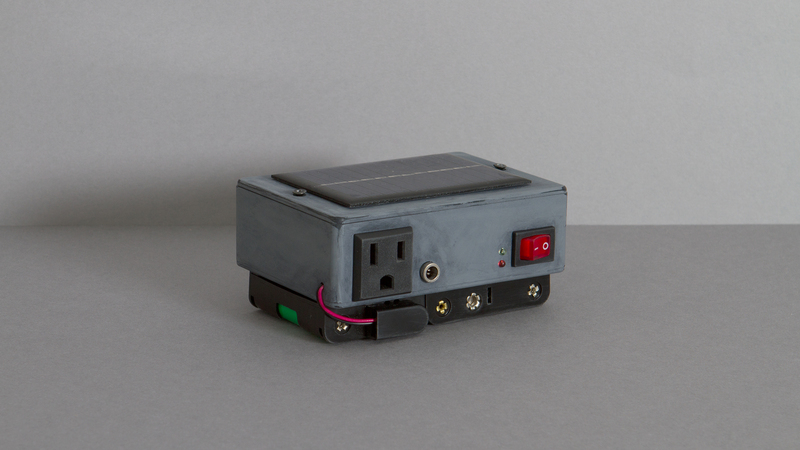 The secure network generator is a DIY solution that provides a private and secure network. Designed for a narrow community of users, robust encryption protocols prevent entities outside the network from connecting. Since a data leak uncovered the shocking practices used to generate conventional power, citizens quickly realise that the only way to clean energy, is to make their own on a local scale. This development allows individuals to use energy as currency, meaning citizens can pay for products and services with either money or energy. The price of power changes daily, depending on usage rates and environmental conditions, so that strong price fluctuations are a common occurrence. However, consumers accept this inconvenience in exchange for more control over their energy. Because government institutions and businesses are no longer to be trusted, citizens have to learn and understand how to operate the complex systems and technologies essential for their safety and wellbeing. 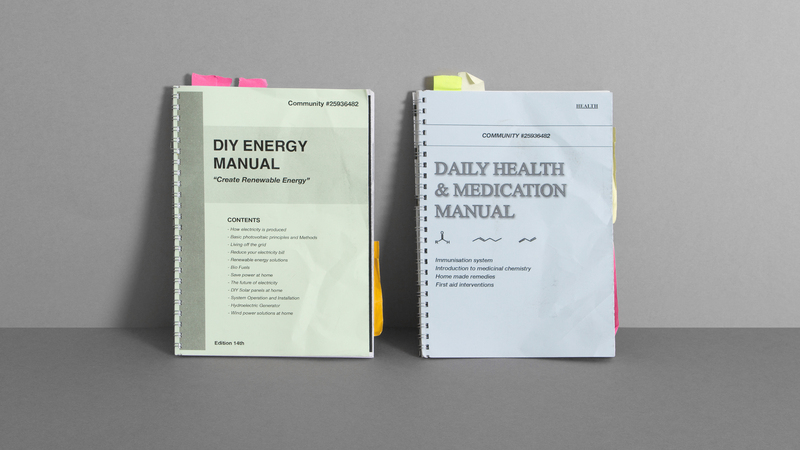 Communities gather and share their knowledge in crowdsourced, home printed user manuals, covering every topic from medicine to electricity. 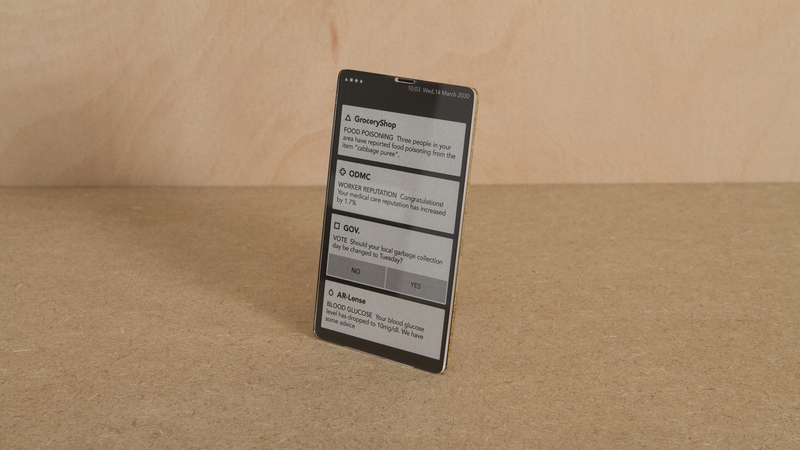 Updates and notes are added by hand and can be published in the next edition. 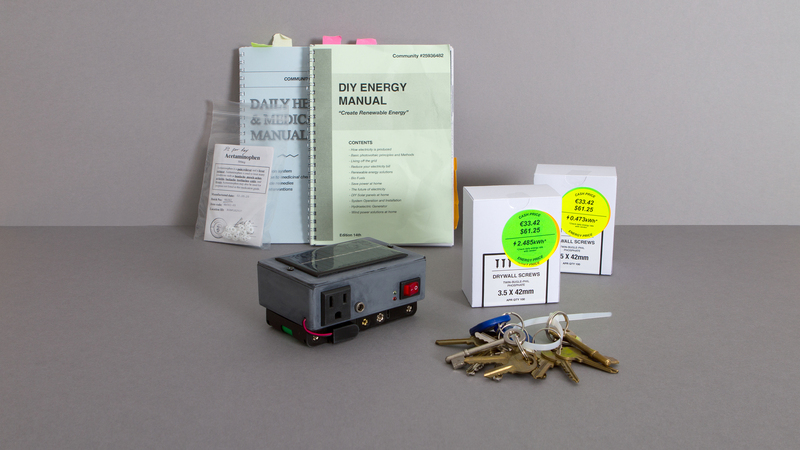 These hard copies are less prone to tampering than their digital equivalents and citizens carry the manuals with them at all times to keep them safe. Through the passing down of knowledge, citizens become increasingly self-sufficient and a strong sense of trust within the community is established. In a time where digital security is not guaranteed and other people and institutions cannot be trusted, citizens return to more traditional safeguarding mechanisms. 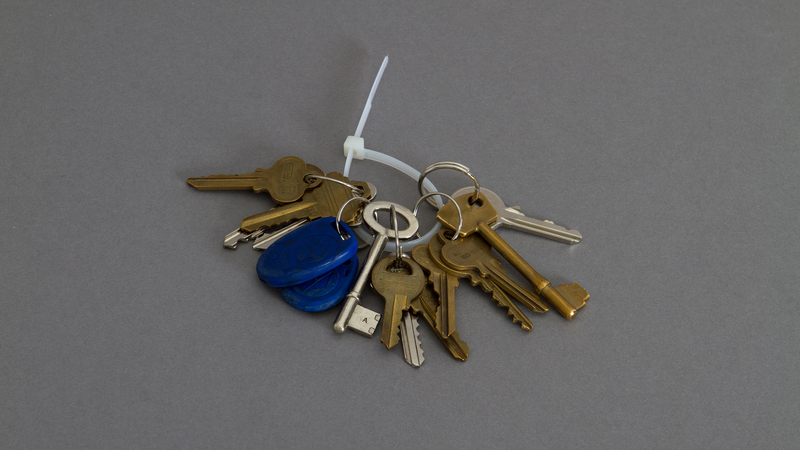 Unlike digital barriers that are prone to hackers, a physical set of keys grants access to secure gateways to trusted networks only to those who possesses a physical copy. Which society would you trust?